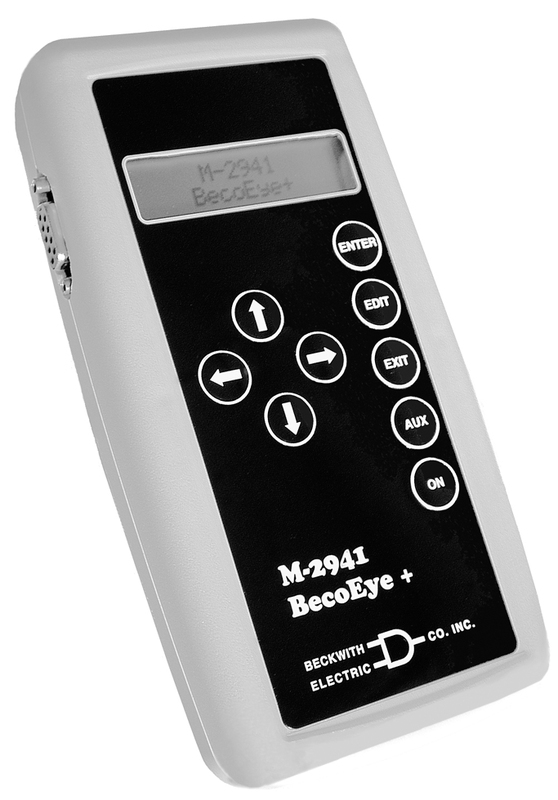 The M-2941 BecoEye+TM Handheld Infrared Field Communications Device communicates all M-2501/M-2501A/B Autodaptive® Capacitor Control operational commands, setting changes and data retrieval functions. The M-2941 includes an RS-232 serial data port and M-0423 Null Modem cable for uploading (19,200 bps) data records from Blinc’d capacitor controls to a host computer. The unit is powered by one (1) nine Volt battery. The unit also includes a separate 3 Volt Lithium battery (950 mAh) for SRAM backup.